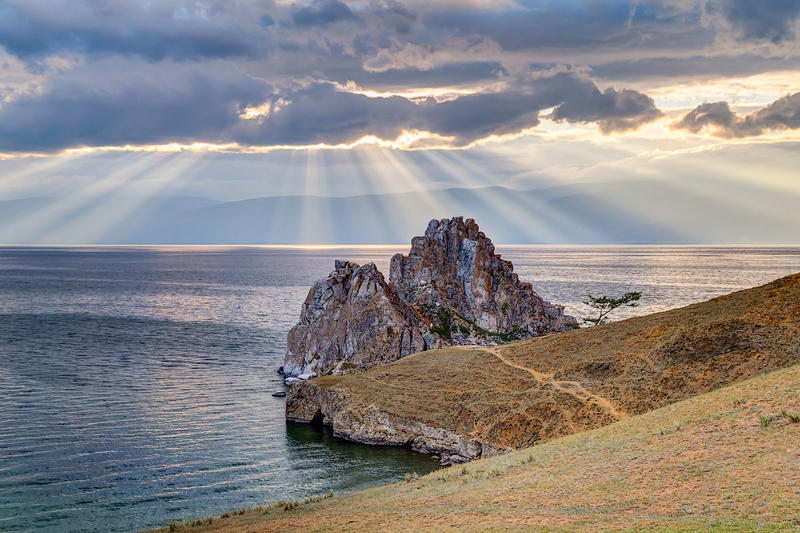 Couple of years back, I visited Siberia in Russia and I explored the coast of Lake Baikal, which is one of the largest lakes in the world. It is actually so deep (several thousand feet) that it has 20% of the world's supply of fresh water. So if all the lakes and rivers in the world dry out, Lake Baikal will still contain one fifth of it. This area is home to Buryats, people of Mongolian descent. Their ancestors used to be nomads and Shaman Rock (bottom row, center and right) is their most sacred place. 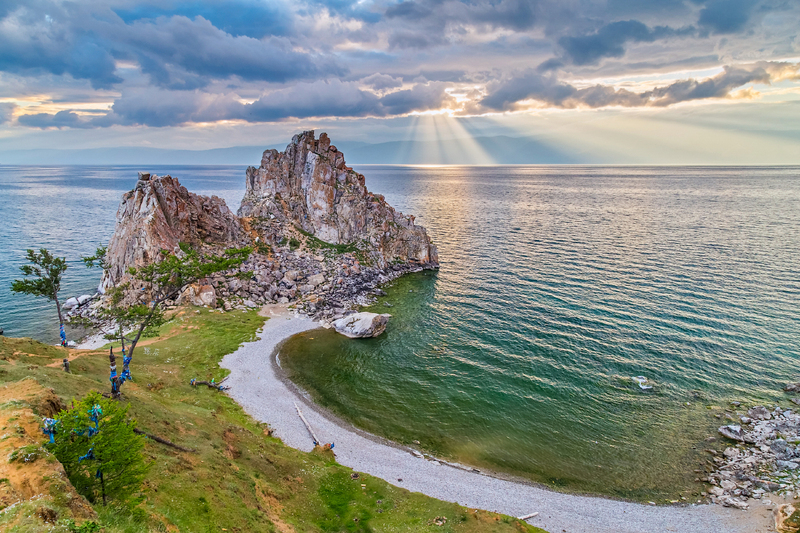 It is situated on Olkhon - the largest island in the middle of Lake Baikal, a pristine gem of Siberia. Buryats used to come here to pray and the place is still very much respected by people who live there. Many legends and beliefs are associated with it. 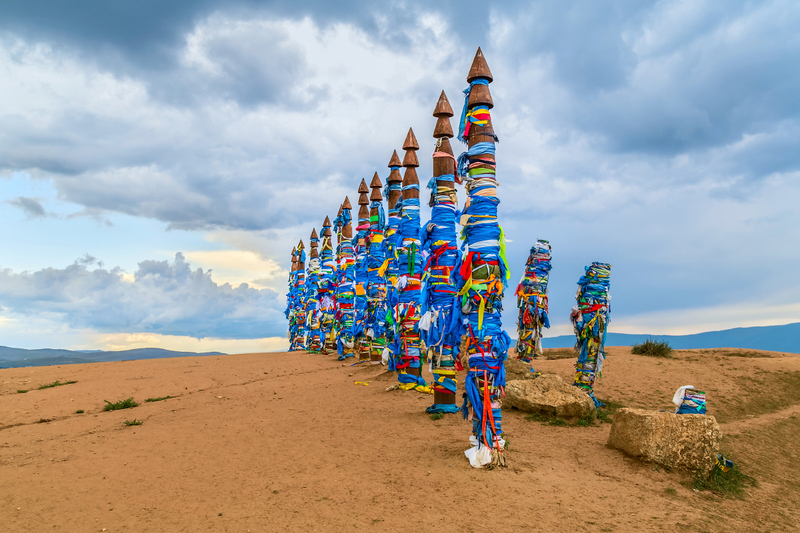 The colorful poles (bottom row, left), which are called "Saergae" were erected by the Buryats on top of the hill separating Shaman Rock from the rest of the island. It is an entrance to the sanctuary. 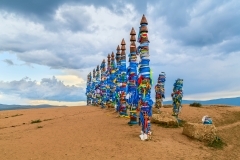 In the old times, Buryats used the poles for tethering their horses when they were coming to pray at Shaman Rock. Without dismounting, no one was allowed to go past these poles. Nowadays, even though they do not use horses anymore, the tradition is still alive with locals and tourists who honor it by tying symbolic bands on one of the poles before visiting Shaman Rock. Sometimes bands are also wrapped around the trees in the area. Bands are not removed after leaving and due to buildup throughout the years, they give a very distinct and unusual look to the whole place, adding to the breathtaking scenery. This place is truly amazing and I was impressed by its beauty. 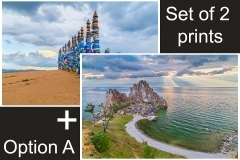 Due the story which connects these two photographs, I like when these two pieces are displayed and appreciated side-by-side. 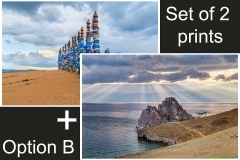 Because of that, I decided to offer a 25% discount for a package of these two pictures sold together. The offer is going to be valid for all available sizes throughout the whole month. I will also offer a 15% discount on them if bought separately. 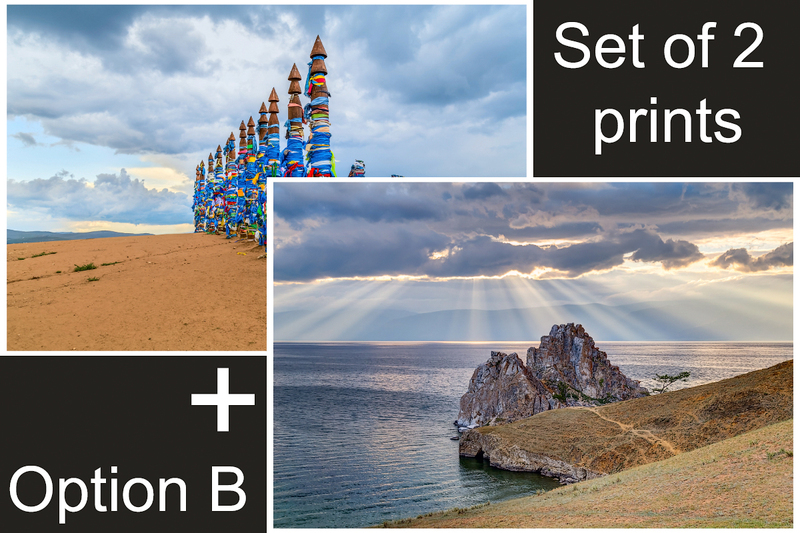 I offer both matted and framed prints in several sizes. Framed prints come in contemporary style black wooden frames with premium non-glare plexiglass and 3/16" thick foam backing board. 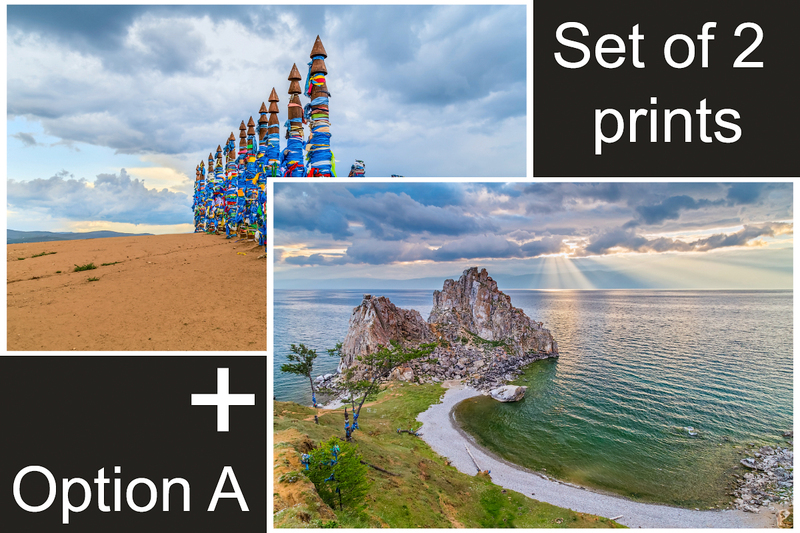 After you select the types and number of prints, you will be directed to a checkout page where you will be able to submit your shipping/billing address and pay by credit card or PayPal. Credit or debit card transactions are encrypted and processed by PayPal, but you do not have to have a PayPal account. Shipment is free in continental US. Shipment to Alaska, Hawaii, or even internationally is also available, but please contact me upfront for an exact estimation. All packages are insured personally by me. If anything happens to the package, just contact me and I will ship a replacement. Finally, all my prints come with 60 days no question asked full refund policy. If for some reason you change your mind, just let me know and I will refund your purchase or exchange for a different print.